A tornado had people in Italy wondering if they were in Kansas. 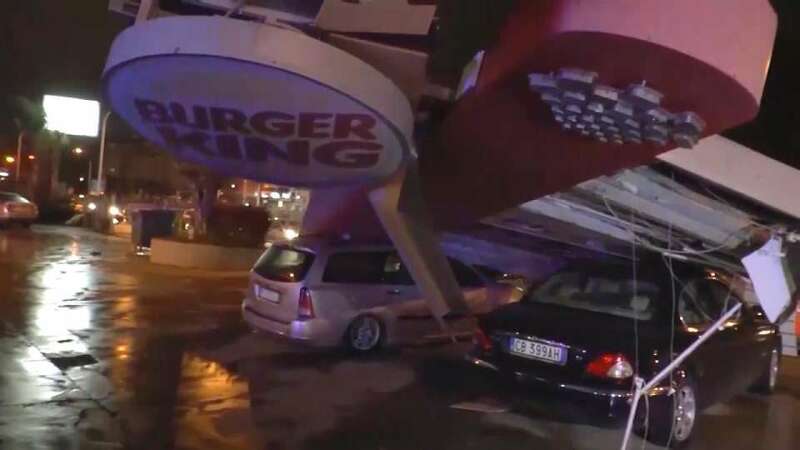 The twister hit the suburbs of Caserta and took down trees and signs, including a Burger King sign that crushed some cars. Buildings were damaged and trucks were overturned. Fortunately, no one died, but some injuries were reported.